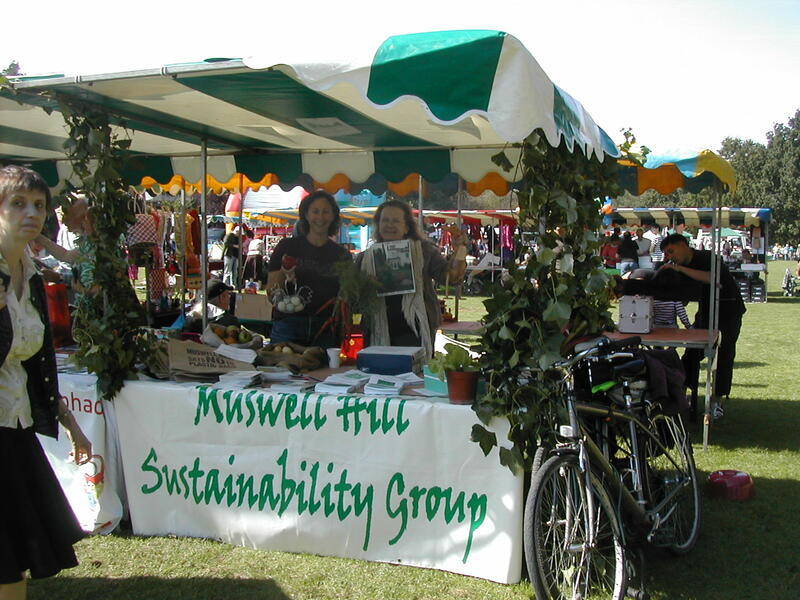 Our origins go back to 2nd February 2008 when the Muswell Hill and Fortis Green Association held a public meeting on Sustainability. Some of those attending gathered together afterwards under the chairmanship of Dr Alan Morton and called themselves the Muswell Hill Sustainability Group. On 13th August the Group, which by then had a dozen members, adopted a constitution the main objects of which were to support and promote a more sustainable future, to raise awareness of climate change and to encourage people in Muswell Hill and surrounding areas to reduce carbon emissions by 80% by 2050. 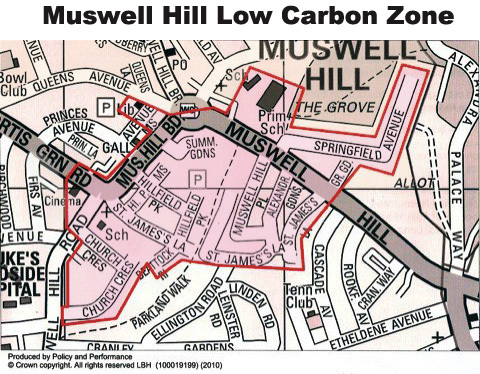 In the summer of 2009 the group decided to work together with members of the Environmental Resources department of Haringey Council put together a bid for a Low Carbon Zone here in Muswell Hill and ours was one of 10 successful bids that were presented to the GLA. 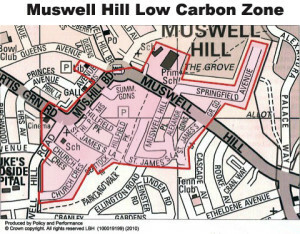 Through Haringey Council funds of £200 to £400 thousand pounds were made available to involve businesses, householders and community organisations in the zone in sharing of resources and expertise in a carbon reduction programme in N10 (the Muswell Hill Low Carbon Zone). In the autumn the Group’s committee was encouraged to make a further joint funding bid. This time it was to the Department of Energy and Climate Change, in response to the nationwide Low Carbon Communities Challenge. The bid was for £400,000 to carry out a programme of regeneration, by the installation of solar panels on schools and other large buildings in and around Muswell Hill, including Marks & Spencers on Muswell Hill Broadway. In December 2010 we heard that our bid was the only one to be accepted within the M25. By this time the Group had decided on the formation of a community benefit society to handle the contracts and financial arrangements implicit in these two successful bids and on 30th October 2009 en10ergy limited was registered as a social enterprise with the Financial Services Authority. It shares the objectives as the Muswell Hill Sustainability Group, and in its constitution is committed to using its income and resources for the benefit of the local community in the pursuit of sutainable development. Some of its income is used to support the Group’s activities, and some for the further expansion of clean energy generating schemes. A full account of the structure and work of en10ergy limited can be found on it’s website. The 100 Homes Study – looking at energy use in homes and trying out improvements. • Holding regular talks on topics ranging from smart-meters to the future of the oceans. Since 2012, this organising role has been taken by Mary Blake, who is our current group secretary, and has many years experience of working for voluntary environmentalist groups and local authority sustainability programmes. MHSG holds regular stalls at community events, and has campaigned to get local retailers to reduce their dependence on packaging, especially plastics, and more broadly to reduce other forms of waste, with a public petition. 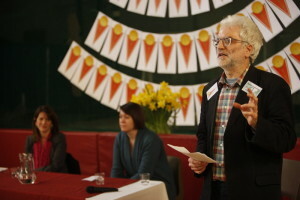 The group is a member of the Haringey Climate Forum, and has frequently contributed to conversations with the Council on policy issues concerning the environment and planning, especially carbon reduction measures, and the delivery of its vision for a sustainable environment in difficult times for local authorities. We have also held annual weekend discussion and exhibition events, under the title 21st Century Homes to enable and support residents in making sustainable home improvements—an idea borrowed from the Highgate Society’s Sustainable Homes Group (and with their invaluable co-operation). Film-maker Tor Kristoffersen made this short video about the 2015 21st Century Homes show. 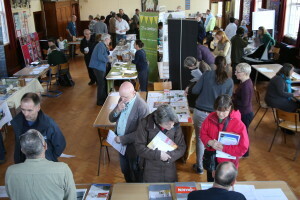 Several members also regularly open their homes to the public to demonstrate what can be done to improve the efficiency and sustainability of domestic buildings – things within our individual control – and to help and encourage others to do the same.